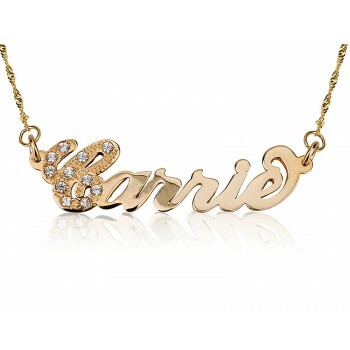 This 18K Gold Plated Carrie Style Personalized Name Necklace has a very modern appeal because of the beautiful font style. 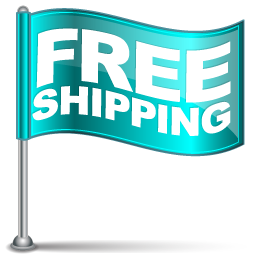 Regular shipping is applicable on this jewellery item. 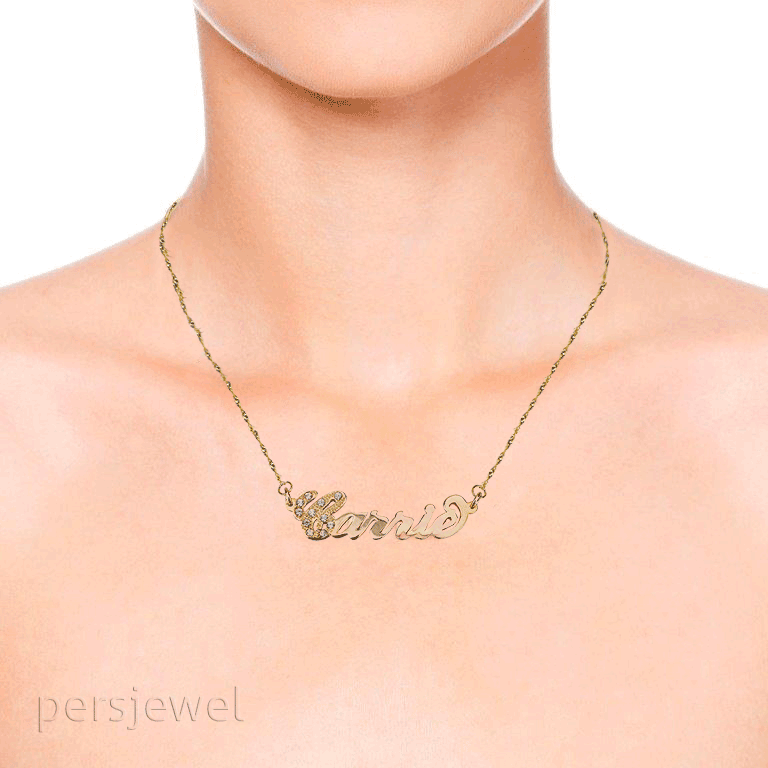 This name necklace with Swarovski Crystal stones makes the perfect personalized jewelry gift for your girlfriend, wife, sister, or a close friend. Make their day extra special. 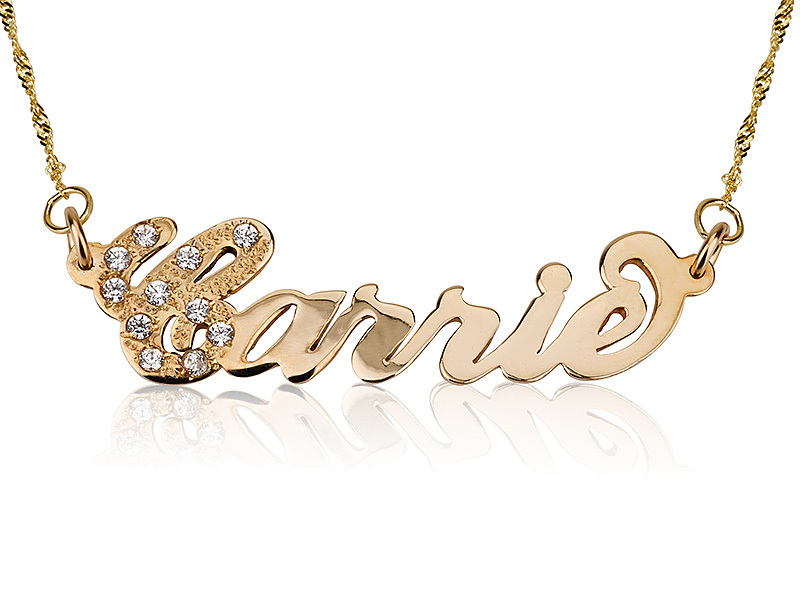 Made of 18k gold plating, the high-quality necklace dazzles with Swarovski stones spread beautifully across the first letter of the name. The pendant is handmade, adding to its personalized feel, and is very eye-catching. The pendant comes on an 18k gold plating and a yellow gold twist chain in 14”, 16”, 18”,20" or 22" length sizes, depending on your preference. 14” is the default size. 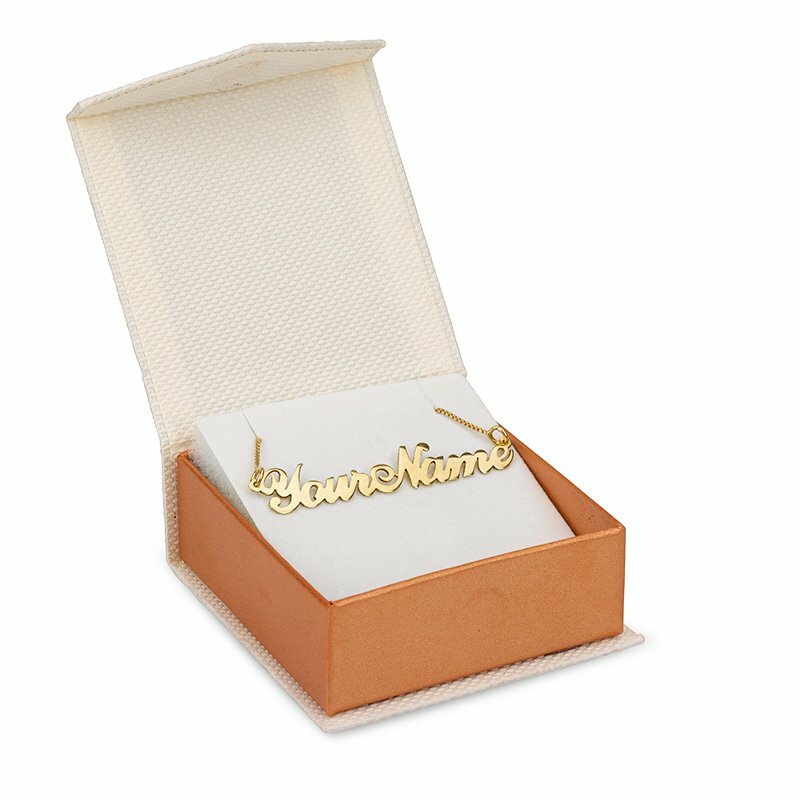 We pride ourselves in providing top quality customer service and will ship the personalized jewelry in a gift box and add a greeting card (just e-mail us to request this feature).